It’s a condition that affects three million Americans, mostly children, and yet there has been little progress in developing medical interventions to cure type 1 diabetes. But a new study by Harvard stem cell researchers has generated great excitement among scientists working toward finding a cure for this condition. They have been able to create massive quantities of insulin-producing beta cells from human embryonic stem cells that function similar to normal beta cells. This can aid in developing drugs and cell therapies to combat diabetes. "We are now just one pre-clinical step away from the finish line," said lead researcher Doug Melton in a statement, adding that human transplantation trials using the cells will be underway within a few years. Melton’s work signifies a lifetime spent in searching for a cure for this condition that afflicts both his children. The research appears today in the journal Cell. The cells had to pass through rigorous glucose tests in mice models before they were considered fit for human trials. The cells “responded appropriately, that was really exciting” Melton said. 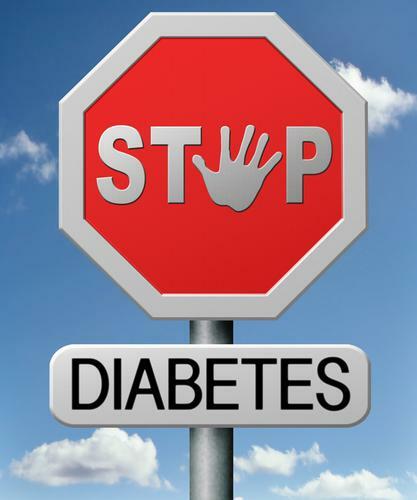 Type 1 diabetes is an autoimmune condition where the body’s innate immune response starts destroying the insulin-producing cells or beta cells. It may be due to a genetic predisposition or a virus attack that triggers off this condition. Once the beta cells are destroyed, the body loses the ability to regulate glucose. Most type 1 patients can to control their sugar levels with constant insulin injections. But improper management can still lead to serious side effects like blindness or amputation of limbs. Cell transplantation that use islets from the pancreas of a deceased organ donor and transfers them into another person has been done before. But it is still an experimental procedure that is available only to a limited number of patients and comes with the risk of nonfunctioning of the transplanted cells, side effects of immunosuppressants used during the procedure, and excessive bleeding or death. Melton’s research developed human pancreatic beta cells in large numbers by controlled differentiation of stem cells. These mature beta cells then have to be transferred into people with type 1 diabetes. But as in the case of earlier transplantation techniques, these cells can also be destroyed by the patient’s own autoimmune response. To test if this occurred, Melton and his colleague Daniel G. Anderson from MIT, created a device and checked if it was able to protect beta cells that were implanted into mice. They found that the device not only protected the beta cells but even after many months, they were still producing insulin. “There is no question that ability to generate glucose-responsive, human beta cells through controlled differentiation of stem cells will accelerate the development of new therapeutics. In particular, this advance opens to doors to an essentially limitless supply of tissue for diabetic patients awaiting cell therapy," Anderson said. The production of mature, functional human beta cells can aid in the development of several new therapeutics for diabetes and also serve as a cell source for islet replacement in diabetic people, says Richard A. Insel of the Juvenile Diabetes Research Foundation. Melton is hopeful that the discovery will also aid the numerous type 2 diabetic people who depend on insulin injections to lead normal, healthy lives. "There have been previous reports of other labs deriving beta cell types from stem cells. No other group has produced mature beta cells as suitable for use in patients," he said. "The biggest hurdle has been to get to glucose sensing, insulin secreting beta cells, and that's what our group has done." Source: Melton D, Pagliuca F, Millman J. et al, Cell. 2014.